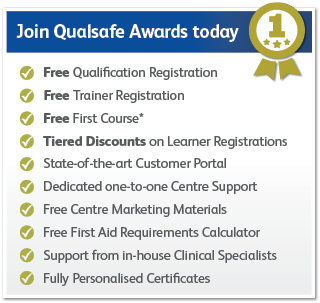 Qualsafe Awards Shortlisted for 4 FAB Awards! With the Federation of Awarding Bodies representing over 125 Awarding Organisations throughout the UK, we are incredibly proud to have been shortlisted for these fantastic awards. We feel that our commitment to understanding what our Centres want and need from an Awarding Organisation has been central to achieving these accolades, and has helped us to develop a wide range of high quality qualifications to help our Centres succeed and Learners achieve. With winners due to be announced on 18th October 2018, we would like to extend a special thank you to all of our Centres, whose continued support has been a key factor in our shortlisting for these awards. Come visit us at the Emergency Services Show 2018! Qualsafe Awards is pleased to announce that we will be attending the Emergency Services Show 2018! The event will once again be held at the NEC in Birmingham on 19th – 20thSeptember. As the UK’s leading showcase for emergency services personnel, this unmissable event promises to be bigger and better than last year’s, with over 450 exhibitors, live demonstrations and fantastic opportunities to network with fellow industry professionals. Throughout the event, we will be showcasing our industry leading qualifications, including our progressive suite of vocational prehospital care qualifications which form part of a HCPC approved programme to become a Paramedic in 2 years. So, if you are attending this year’s event be sure to stop by Stand L55 and say Hi!